3. Mr. Y wanted to purchase beauty products for his wife during Super Value Day. Will he be eligible for the cashback for any Beauty product purchased on Amazon? 4. 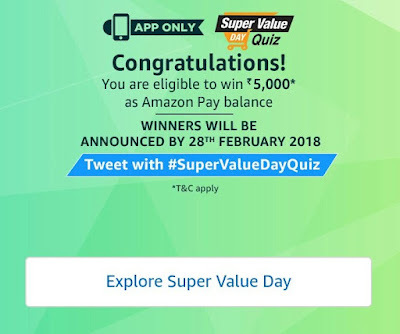 After the order is dispatched, how long does it take for the Super Value Day cashback to be credited to customer’s account? 5. 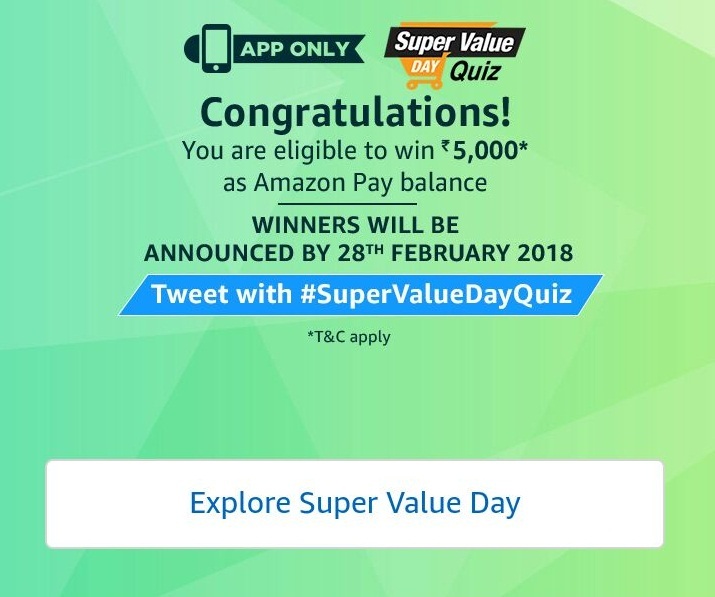 During Super Value Day, one can avail a cashback of 20% with a minimum purchase? 1. This Contest will commence on 2nd January from 12:00:01 a.m. (IST) to 2nd January 11:59:00 p.m. (IST) (Contest Period).